Truth may well be the first victim of war, and fair-minded and dispassionate accounts of events in Ukraine are rare. Richard Sakwa is professor of Russian and European politics at the University of Kent, England. Among his books are Putin: Russia’s Choice (Routledge, 2nd edition, 2007) and Russian Politics and Society (Routledge, 4th edition, 2008), Frontline Ukraine: Crisis in the Borderlands (IB Tauris, 1st edition, 2014) and Putin Redux (Routledge, 2nd edition, 2014). Truth may well be the first victim of war, and in the current crisis provoked by events in Ukraine, fair-minded and dispassionate accounts are rare. In this regard, Conflict in Ukraine: The Unwinding of the Post-Cold War Order by Rajan Menon and Eugene Rumer is all the more to be welcomed. This book is a genuine attempt to engage with some of the more difficult issues, and avoids some of the pitfalls of which so many contemporary accounts have fallen foul. Conflict in Ukraine is an excellent account of some of the main threads which have combined to bring the world to the brink of one of the most dangerous confrontations of the post-war era, and reflects many of the lacunae and limitations of standard Western interpretations of how we have moved towards the edge of the abyss. This is not a blow-by-blow account of the ‘crisis’. Many elements are barely discussed, such as the nature and character of the Maidan protest movement, or the rise of the extreme-right (as evidenced in their electoral breakthrough in the 2012 parliamentary elections). The book’s main theme, instead, is the ‘unwinding’ of the post-Cold War order, and although the notion of ‘unwinding’ is not defined, some of the structural contradictions of that ‘order’ are. Above all, the authors note that, after the Cold War, Europe faced a number of fundamental strategic choices about how to create a mechanism to overcome the logic of conflict on the continent. They note that the Great Powers had learned from the failure to integrate Germany after the First World War and, following the Second World War, ensured that West Germany became part of the new European security system. They do not mention that this move was part of the Cold War confrontation with the Soviet Union, and thus did not reflect any grand strategic wisdom, but instead a tactical response to the new challenge. With no major strategic threat to concentrate the mind, the ‘victorious’ powers after 1991 imposed what Sergei Karaganov has called a ‘soft Versailles’ on what was considered the losing power. Any lessons learned on how to reconcile a former adversary were forgotten at the end of the Cold War. Russia remained an uncomfortable partner outside the core structures of the post-Cold War order. Menon and Rumer note that a ‘hedging’ strategy was adopted, strengthening and extending NATO in case Russia reverted to what was perceived to be a certain innate aggressiveness. But this very strategy provoked the reaction which it intended to avert. The obvious dangers of this strategic blindness was that, unlike post-war Germany and Japan, Russia was in no mood to ’embrace defeat’ in the ultimately futile contest that we now call the Cold War. This situation gave rise to what has been called the ‘cold peace’, the fool’s paradise in which we have lived for the last quarter century, and which is now slipping into something akin to a new Cold War. Missing from Menon and Rumer’s account is a substantive analysis of European options, although they devote a chapter to ‘Europe and the crisis’. It is astonishing that, for over two decades, no substantive strategy to overcome the logic of potential conflict was adopted. The Atlantic community not only survived but intensified with its own distinctive modes of behaviour (which by definition would tend to exclude Russia), regardless of the well-meaning initiatives launched to mitigate the effects of that community’s enlargement. Equally, the role of the United States in inhibiting the creation of a specifically European post-Cold War order is not discussed in Conflict in Ukraine, let alone theorised. Instead, the European Union was enlarged as part of a ‘wider European’ project, which immediately discounted various possible ‘greater European’ options. Thus, with the accession of a number of former communist countries to NATO and the European Union, instead of transcending the logic of conflict on the continent, in practice that logic was intensified. All this might be said to have led to the utterly predictable confrontation over Ukraine. 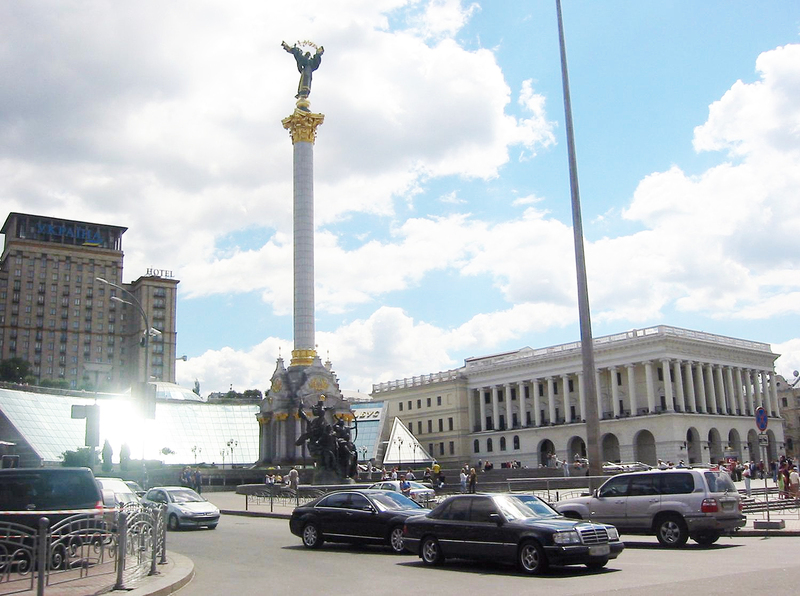 As for developments in Ukraine that provoked the crisis, the authors provide a sober account of how the new Ukrainian state took shape, and the various developmental and political problems since independence in 1991. The account, though, lacks a narrative edge, and instead piles various details together without touching on the contradictions in the Ukraine state-building endeavour which exploded into conflict in 2013-2014. Their account of oligarchic power and the distortions and social pathologies is vivid and informed, but, at crucial moments, it veers away from engaging with some of the more controversial issues. Joining the EU and NATO in due course (although neither were immediate options for Ukraine) appeared to be the ‘democratic’ thing to do, even if society was sharply divided on both issues (as Menon and Rumer demonstrate by drawing on numerous opinion polls). These polls demonstrate – as argued by the two authors – that Ukraine is clearly a pluralistic and multinational state. It is the failure to provide a capacious constitutional settlement to encompass this diversity, and to give voice to the many people making up the modern Ukrainian state, which has provoked this crisis. Meanwhile, the escalation of violence on 18 February 2014, culminating in the sniper fire on 20 February, appears to have been the logical outcome of the militant takeover of the protest movement. Equally, the peace deal of 21 February 2014, brokered by the EU foreign ministers and endorsed by the Russian representative, Vladimir Lukin, appeared to offer a negotiated and peaceful way out of the crisis, including pre-term elections that Viktor Yanukovych, in the new circumstances of mass mobilisation, would almost certainly have lost. Instead, when Yanukovych withdrew the security forces, as stipulated by the agreement, he was left defenceless. He left for the long-planned conference in Kharkiv, and thence via Crimea to Russia. The circumstances of his overthrow – described as an unconstitutional coup d’état by Russia, and the overthrow of a tyrant by the insurgents and their Western backers – has, perhaps, threatened the very basis of Ukrainian statehood. Society today is increasingly polarised and elements of civil war have emerged. The two Minsk agreements will hold only if they are embedded in a broader regional and global Great Power settlement, finally addressing the asymmetries which provoked the cold peace and the present conflict. There is little prospect of that. Menon and Rumer argue that ‘The 2014 crisis in Ukraine was not foreordained’ (p. xvi), and while they are right to note that nothing in politics ever is, in this case the writing has long been on the wall. The Russo-Georgian war of 2008 was in effect the first war to halt NATO enlargement, and it became clear that Ukraine would be the second. The authors argue that ‘it is important to understand why Russia did what it did, what the background and immediate context of its actions were, what it feared, what it wanted, and what price it was prepared to pay’ (p. xvii). Their account of Russian politics is perceptive and on the whole balanced. However, the effect is spoiled by their claim that Russia has become a revisionist power. Such a conclusion naturally emerges from the lack of a robust theoretical framework. Russia is certainly a dissatisfied power, and the authors’ own account gives some powerful arguments why this was the case. Yet to claim that Russia is revisionist assumes that it is out to overthrow, if not to ‘unwind’, the whole structure of international order as presently constituted – rather like Hitler on the eve of the Second World War. This claim does not emerge from the material presented in the book. Overall, this is an important book, packed full of useful detail and sharp judgements. It provides a helpful introduction to the complexities of the present crisis, and on the whole avoids the excesses of so much commentary today. In conditions of mass ‘groupthink’ and media hysteria, this is a major achievement, and all credit should go to the two authors. However, at the end the reader is left dissatisfied. What were the drivers within Ukraine that allowed a legally elected president to be chased out by a popular movement, with the support of the world’s remaining superpower? If every odious leader was overthrown in this manner, then whatever is left of world order would not last very long. Equally, why did Russia feel excluded and marginalised for the quarter of a century after the fall of the Berlin Wall – since it is clear that the resentment was not Vladimir Putin’s invention? It was, after all, Boris Yeltsin who first used the term ‘cold peace’ in 1994; Prime Minister Yevgeny Primakov turned back his plane on the way to America when the bombing of Serbia began in March 1999. In other words, without a more structural and theoretical understanding, we are left with many unanswered questions. Only a few very brave souls in the United States are able to generate such a broader synthesis based on a structural understanding of contemporary world politics and the specific dynamics of the Ukraine crisis. Unfortunately, despite the book’s many qualities and its title, Menon and Rumer are not among them. Rajan Menon and Eugene B. Rumer, Conflict in Ukraine: The Unwinding of the Post-Cold War Order (Boston: MIT Press, 2015).